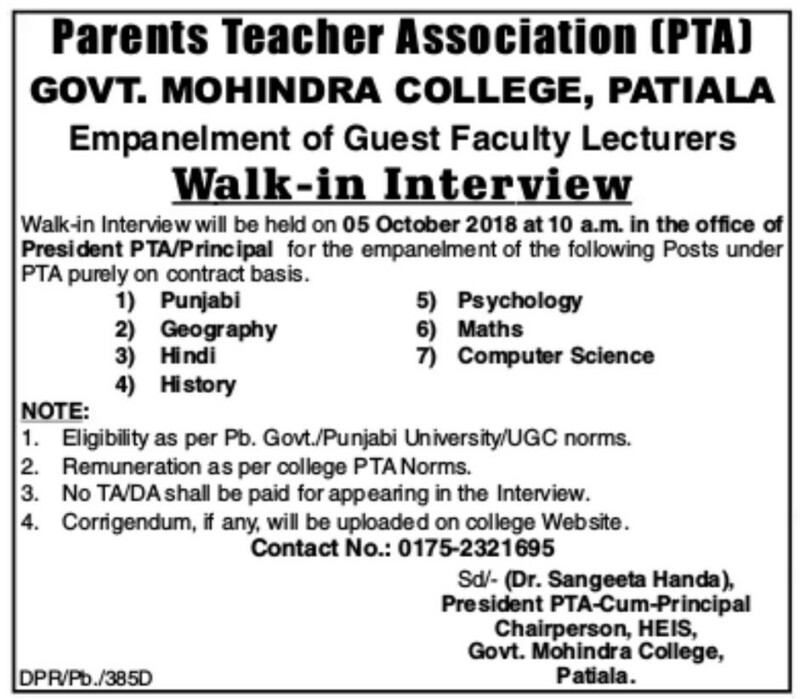 Pay Scale : As per college PTA norms. Essential Qualification : As per Pb.Govt/UGC/Punjab University norms. Age Limit – No age restrictions for desired candidates. Eligible candidate should appear for walk_in Interview at office of Chairperson of HEIS, Govt. 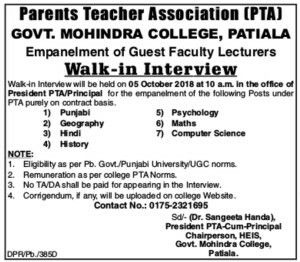 Mahindra College, Patiala (Punjab) along with their resume and certificates on 05.10.2018 at 10:00 am. Please ensure your eligibility through official notification before visit for interview. Note : No TA/DA shall be paid for appearing in interview.